How to paint rays of light in Procreate? You first need to study how rays of light exist. Most of the time they come from the sun or another strong light source. You see rays of light through clouds or branches or foliage. It is the light that shines through in parts. They are obstructed by the leaves or clouds. You can of course paint the rays of light by hand. That is a great exersize to study and get a better understanding of the rays. Basically the source is the lightest part and the rays derive from the light source. You can use the source as a vanishing point and draw the rays in a one point perspective. When you want to use rays of light more often then it is better to make a custom brush in Procreate. You can first paint the rays of light in a canvas of 2048 pixels by 2048 pixels. You paint the rays with black on a white canvas. After you have finished painting the rays you then export it as a png to your Photos library on your iPad. Then you can import this PNG as a Shape Source into your custom brush. 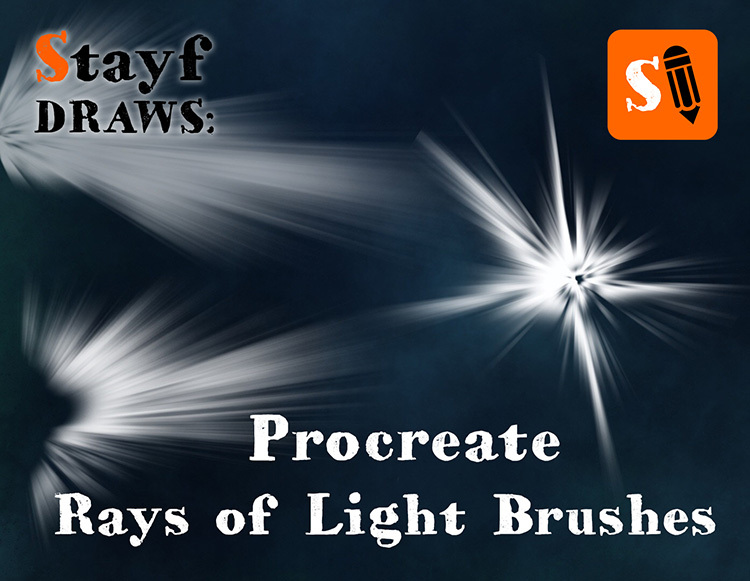 Here are three Free Rays of Light Brushes I have created in Procreate you are free to use. You can download them through Dropbox and import them into Procreate.